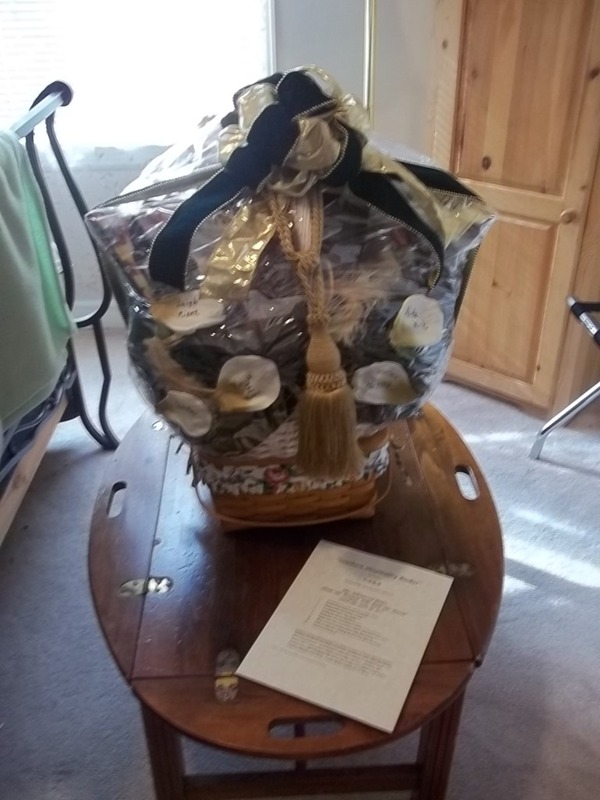 Yesterday all five members of Chattanooga Romance Authors (CARA) meet to talk writing, socialize, and put together their annual CARA basket for the Moonlight & Magnolias conference in Atlanta. The first thing we did was have a meal honoring the women we’ve lost over the past two years. During this time period, three of the five have lost our mothers, and one her mother-in-law. The odds against that happening must be astronomical, and yet it’s true. It was an odd meal, made up as it was of dishes chosen not to coordinate, but because they were dishes our loved ones preferred. The food went oddly well together, and we all came away satisfied. Then came the main section of the day, the basket building. Our theme this year is “Southern Hospitality” and we had a ball putting our diverse items together. It’s odd, how, like the meal, our uncoordinated effort resulted in an amazing basket. If you come to the conference this year, be sure to take a look—and maybe put some tickets in our basket . Actually, whether you put tickets in ours or someone else’s, do give it a shot. There are always great baskets, and the money goes to support literacy. After the basket making, we had wonderful deserts and discussed writing and movies and how sexual attraction takes different forms for men than for women. I’m excited about the M&M conference. It’s always great, but being with my CARA sisters, Laurie White, Nita Wick, Leigh Riker and our hostesses Kelle Z. Riley, makes it even better. Have you ever made or put together something for a charitable cause? 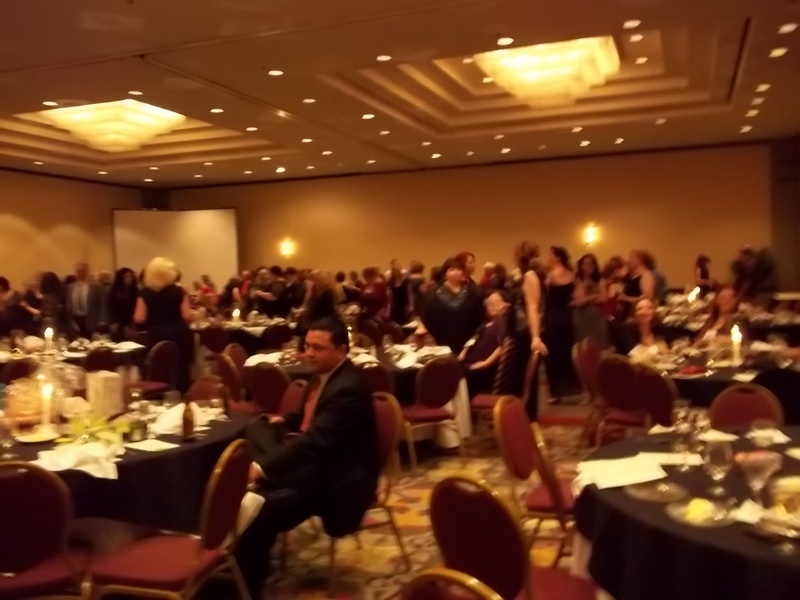 Have you ever been to a writers, or whatever your industry is, conference? Have you recently lost someone close to you? Tell me about him or her. The Ugly Creek, light paranormal from The Wild Rose Press, available now!